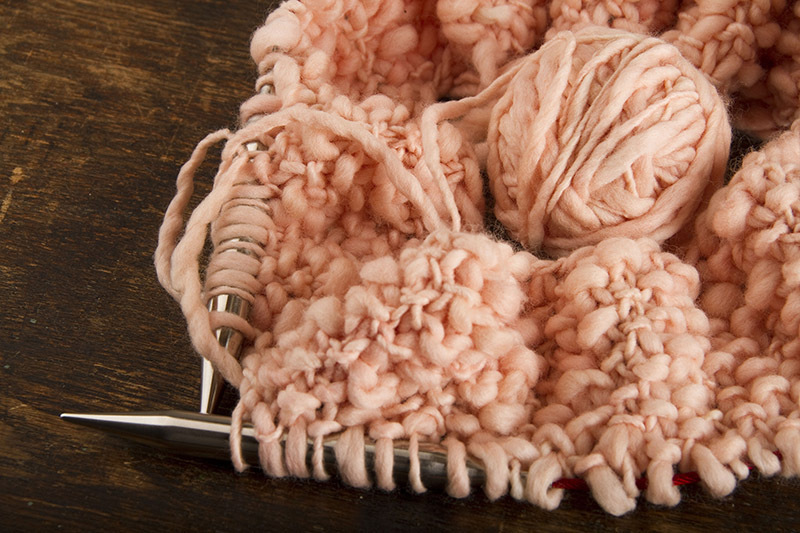 All I want to do is cozy up and knit. And sew receiving blankets. 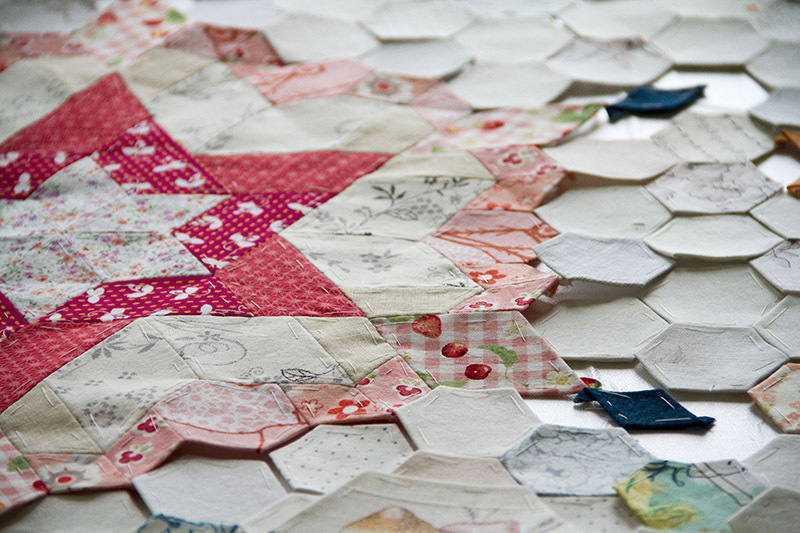 And work on this most epic of baby quilts, and rearrange bedroom furniture. And look at my big kids and marvel at how much they have grown. For more than two weeks now, I’ve been having random contractions starting in the early afternoon and getting more intense as the evening comes, and I’ll think maybe tonight will be the night. We go to sleep and I wake up the next day like nothing happened. Then after lunch it starts up again. It just makes me want to stay home, cozy and safe, and get ready. My original due date has come and gone, my revised due date is this week. If baby follows the pattern set by her siblings, we still have a couple of weeks to go before we get to meet her. My speed as I go about my day has slowed to a crawl. Or more accurately, a shuffle. I putter around the house, I keep the existing children fed and reasonably clean. I pick up my knitting and do a row, and put together some hexies. I don’t feel bad about sleeping late in the morning. If something is essential, Garrett will probably take care of it for me. And if he doesn’t, it probably didn’t need to be done. I feel quite liberated, actually. And really I don’t mind the wait. I love being pregnant, I love that the baby is all mine and always with me (yet so easy to take care of!) and I’ll miss this feeling so much when it is gone. 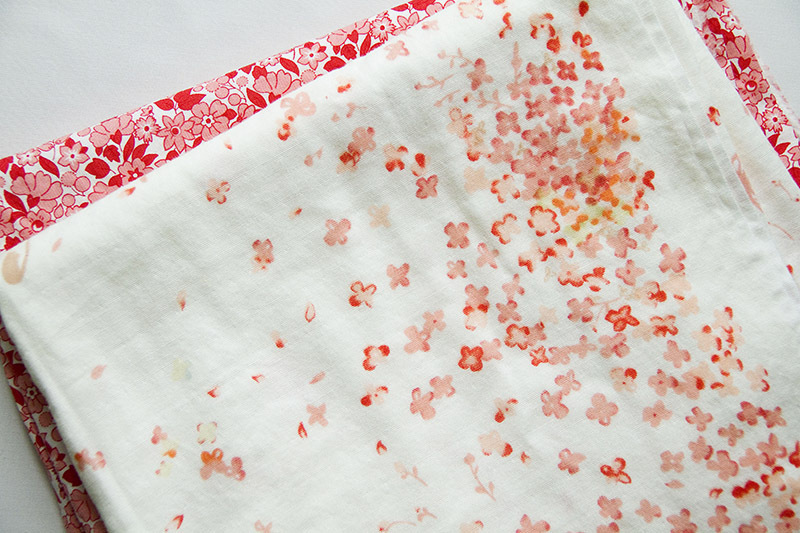 We’re taking our time getting baby’s essentials ready, so the extra time has been useful as well. 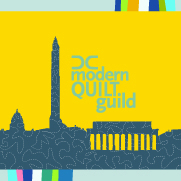 A week and a half ago I skipped a DC Modern Quilt Guild event that we’ve been working on for months. We had invited speakers and pop-up shops to the gallery where our quilts are currently on exhibit for a full afternoon of quilty goodness. And I had been so excited to go. The event was practically designed just for me. When we picked the date, I thought I wouldn’t have a problem attending, because all my babies arrive late. But as the date crept up on me and these “warm-up” contractions became a regular event, I couldn’t bring myself to be so far away all day. I don’t even really want to be out in public. Plus Hubs was convinced that I would end up delivering alone in some crowded DC hospital instead of the relaxing home birth we have planned. So I skipped it; I stayed home and left the other officers to run the event and welcome the speakers. How lucky I am that they were there for me. I’m so very grateful. Also sad for missing it and feeling guilty for reneging on my presidential duties. And feeling a little silly for feeling guilty, because I’m sure the day went just fine without little old me. But I suppose I need to let go of all that and keep looking ahead, right? This is a little nursing blankie I’m working on. It’s meant to be a tube that will slip over my shoulders, so it will stay around me, rather than using a regular blanket, which you have to pay attention to to keep it from slipping off your shoulder. I’ll let you know if it works out the way I imagine. The yarn is hand-spun and hand-dyed merino, and it feels lovely. I probably would not have gotten into this thick-and-thin yarn had my husband not bought me this book as a little surprise gift early on in the pregnancy. But once I tried it I find the unique texture to be really pretty. And shopping for handspun, hand-dyed yarn on Etsy is just really fun. Thanks for the little view into your world right now – but I can’t help help thinking: Bring on the Baby! You’re just going to have to share soon!